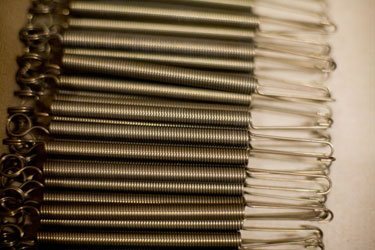 We produce tension springs fully automatically in a wire thickness range between 0.5 and 2.5 mm. 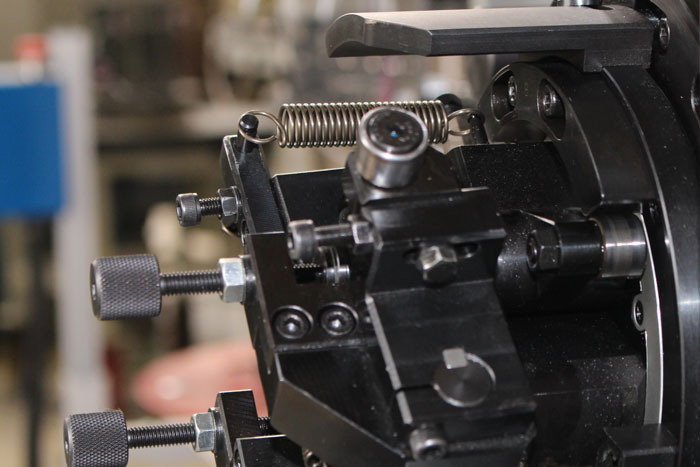 We are generally able to manufacture springs with German, English or hook eyelets with a high production speed and a fully camera-monitored process up to a wire thickness of 2 mm. 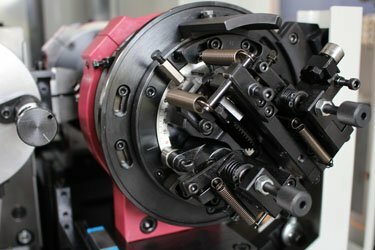 Our modern CNC bending machines are available for more complicated eyelet shapes up to a wire thickness of 2.5 mm. We are happy to help you with the design of suitable tension springs for your particular application, and will work closely with you to create a prototype before we move on to series production. During this process, we will consider installation situations and durability requirements as well as cost-effective production. Contact us via e-mail or call us and we will use your existing designs or installation data in order to find the right solution. We manufacture patented spring wires in accordance with DIN EN 10270 such as SH/DH and stainless wires such as 1.4310. Various special alloys, for example spring bronze, are available on request. We recommend the use of screw-in pieces for tension springs subjected to dynamic loads. 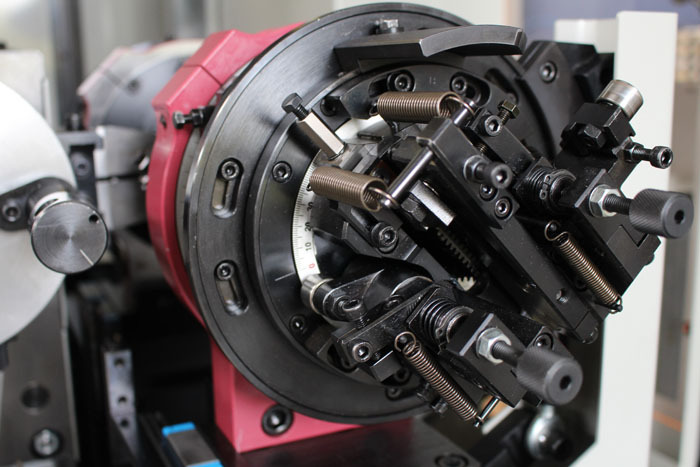 These enable a significantly higher number of load cycles than conventional eyelets. 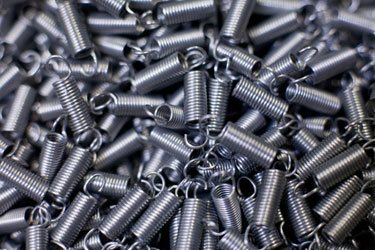 The springs are adapted to these screw-in pieces and then assembled. Our tension springs can be delivered in bulk, or we shall be happy to provide special packaging such as tubes to facilitate processing at your establishment.